Our most popular two-shot handles are now available in a new size! We are now offering these Overmolded Thermoplastic Elastomer Rubber Pull Handles with a larger center to center dimension. This new size features 140mm distance. As always, the handles provide a non-slip comfortable grip that is durable and resistant to scratches. 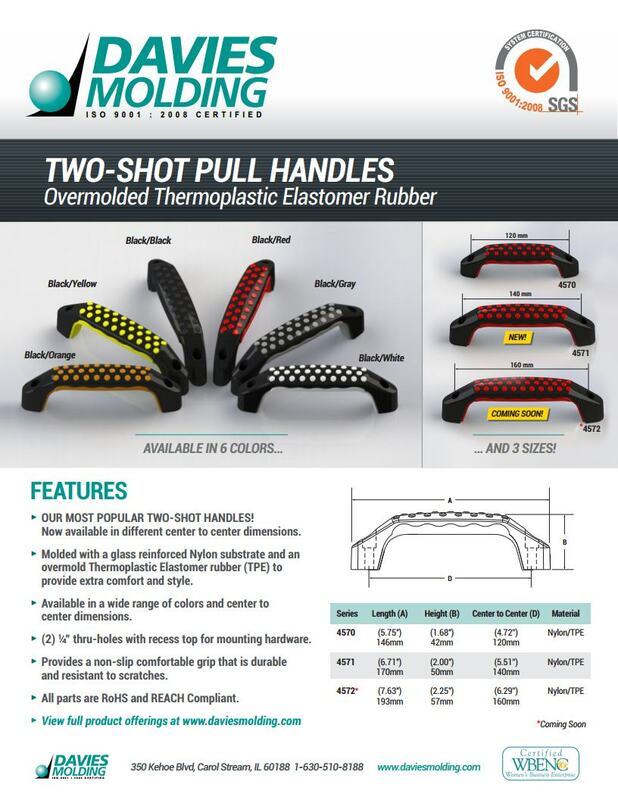 Please visit http://www.daviesmolding.com/Catalog/Series/Handles/Two-Point-Pull.aspx?SeriesID=4571 for more information or contact us at info@daviesmolding.com to request a quote.